Way back in September I had the excellent fortune to be sent to San Francisco for a conference for my job (somehow, blogging doesn’t pay the bills….) and I met up with some excellent wine friends who kindly shuttled me around during my free time. When I arrived Russ picked me up at the airport so we could go hiking in the Santa Cruz Mountains. More on that in another post. 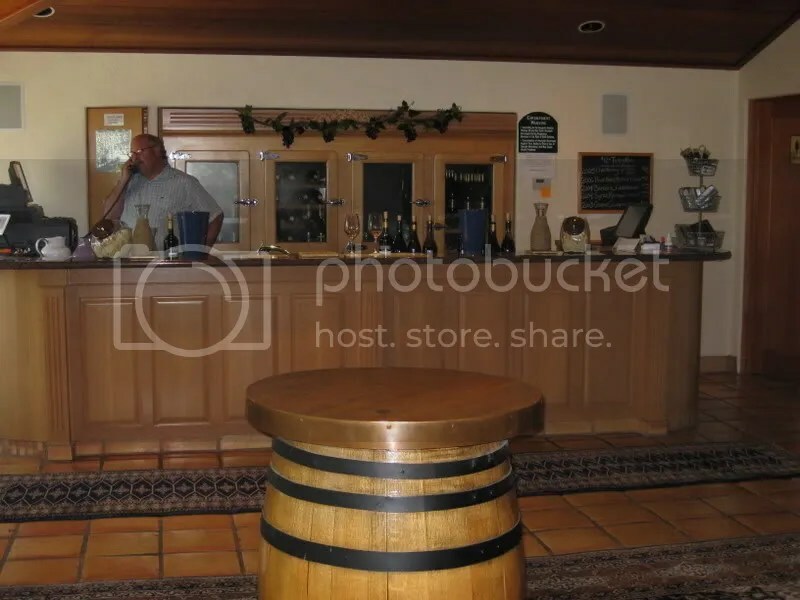 After our hike we spirited off to Thomas Fogarty to taste some wine. 2005 Santa Cruz Mountains Estate Chardonnay: $35. Butter, oak, apple, peach, honey, mouth filling, spice, peach, clean fruit. 2006 Monterey Gewurztraminer: $17.50. I took home 3 bottles. Peach, orange blossoms, floral, so aromatic, smooth, orange, laced with spice. Fabulous. 2006 Michaud Vineyard Pinot Noir: $48. Strawberry crumble, pie, dirt, orange zest, strawberry, cherry, a little hot. 2006 Santa Cruz Pinot Noir: $25. Mushrooms, earth, leather, red fruit, cranberry, a little hot. 2003 Barbiolo: $35. Blend of Barbera and Nebbiolo. Smoky, roses, red fruit, dark, spicy, bitter, currants. 2004 Martella Syrah: $55. Funky, burnt toast, vanilla, dark cherry, currants. 2003 Santa Cruz Cabernet Sauvignon: $50. Reserved, spice, tannins, berries, cherries, fresh fruit, eucalyptus, vanilla. 2003 Vallerga Vineyard Cabernet Sauvignon: $50. Herbal, forrest floor, dark berry, herbs, blackberries, sour cherries, pepper. 2007 Barbera Rose: $21. Strawberry, really dry, delicious, flowers, lime, cranberry. I took one home. I found the Thomas Fogarty property to be beautiful, and the view from the grounds unbeatable. The tasting room seemed decently sized, and we were the only visitors on a Wednesday afternoon. I especially enjoyed the Gewurztraminer, and would highly recommend it. My best friend is getting married there on 4/18. As he told me, the wine selection will probably be the 2007 Gewürztraminer and the 2005 Skyline Red, along with the 2000 Blanc de Blanc sparkling wine for the toast. I really enjoy a good Gewurztraminer. I’ll have to try this one. Great review and pics! FYI, Barolo is a town in the Piedmont region of Northern Italy where the Nebbiolo (a grape) grows. So hence “Barbbiolo” could not possibly be a blend of Barolo and Nebbiolo, could perhaps be a blend of Barbera and Nebbiolo? Excellent! We just found out that our trip to the Santa Cruz area is back on, & we were going to begin researching wineries. This is very helpful! 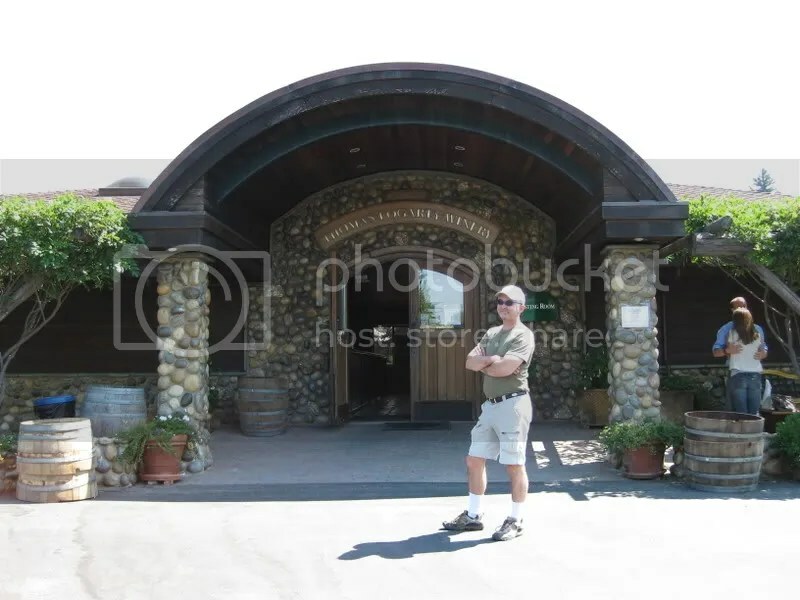 I’ll have to search your blog for Paso Robles & Monterey as well. It seems like you’ve covered a lot of winery ground. Hey Loweeel…you’ll be in CA at the same time as us! Hi Randy, the Gewurz is surely worth checking out. 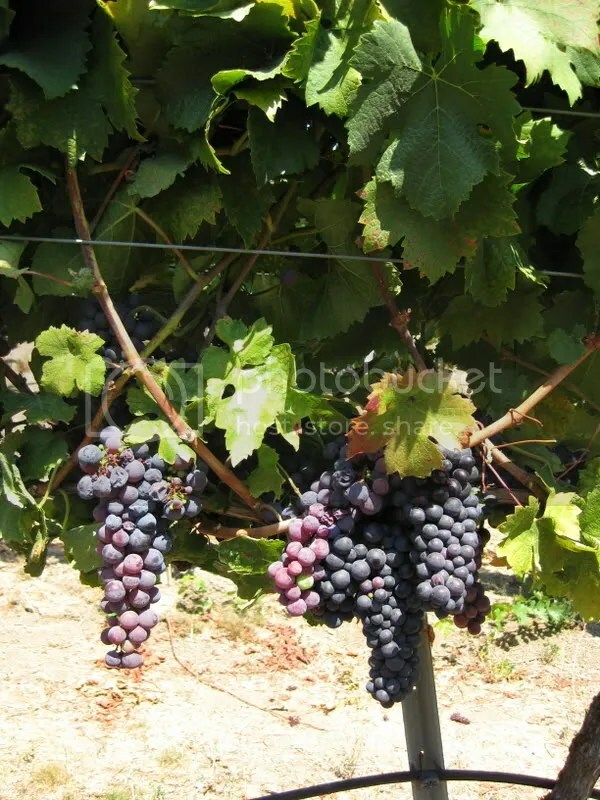 Dude, yes, I typed Barolo and meant Barbera….That’s what happens when you write a post at midnight with a head cold! Nice Claire! You should surely check out Fogarty then! 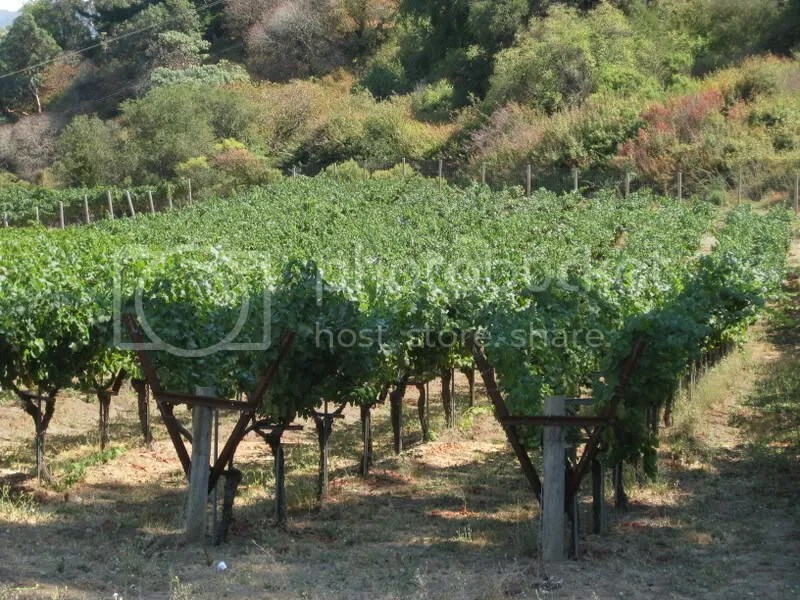 Beautifully trellised vineyards! I always get a jolt when I look at a well manicured vineyard. I think I was probably born to be a vineyard manager. Oh well, wine steward will have to do for now!